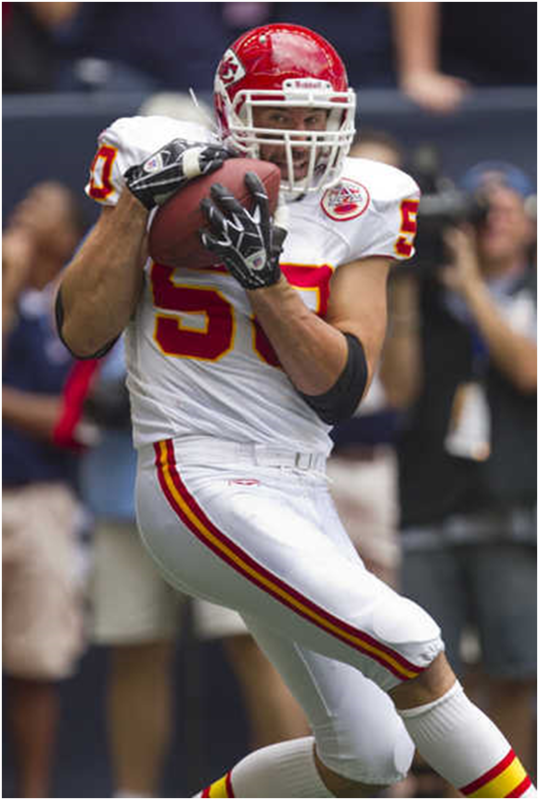 Kansas City Chiefs linebacker Mike Vrabel lined up as tight end and caught a first quarter touchdown pass against the Houston Texans at Reliant Stadium in Houston, TX on October 17, 2010. Surest hands: Chiefs LB Mike Vrabel caught a 2-yard touchdown while lining up with the offense in the 35-31 loss at Houston. That marked Vrabel's 12th career TD (including the postseason), and all of his 12 career catches have gone for scores.